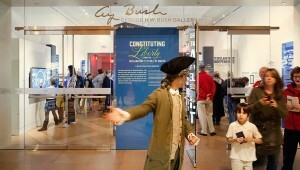 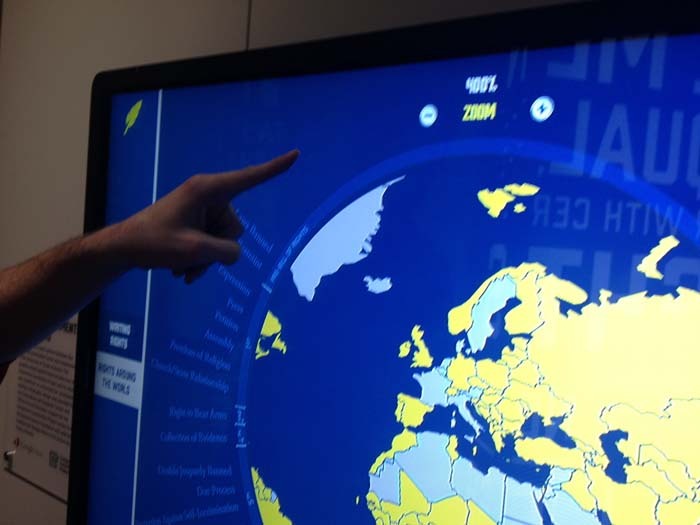 Photo by National Constitution Center, showing the interactive inside the exhibit. 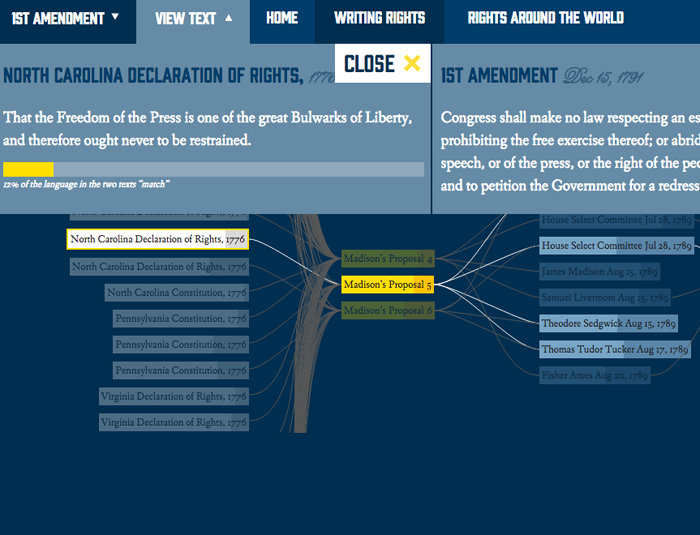 A team from The University of Texas at Austin Department of Government needed a way to display research about the Bill of Rights in an interactive way, for an exhibit planned in the National Constitution Center in Philadelphia, PA. WEBii collaborated with experts on Bill of Rights documents, graphic designers and staff from The National Constitution Center to bring their visualizations to life. 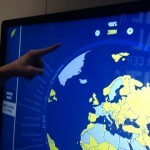 The initial project involved working with various technologies to create a touch-screen operated web application hosted inside the NCC museum’s George Bush Gallery. 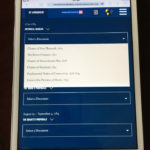 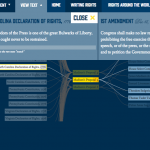 Our experienced web developers translated the graphic designer’s mock ups and the client’s extensive data into an interactive animated display, showing the path of document revisions that led to the eventual Constitution. 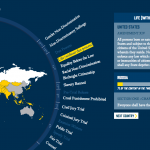 Another dynamic section demonstrates how the US Rights compare with rights described in another countries’ documents, complete with a globe style map. 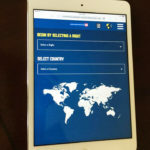 WEBii worked with the team for several months to refine and expand features in the visualizations, and also created a website version of the application. 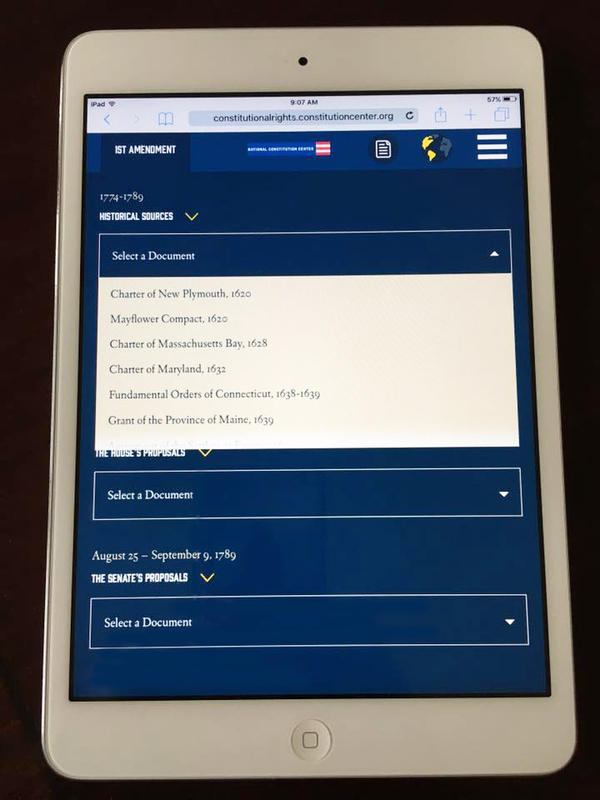 And in fall 2016, a mobile responsive version was released. 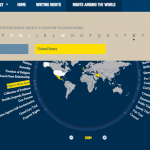 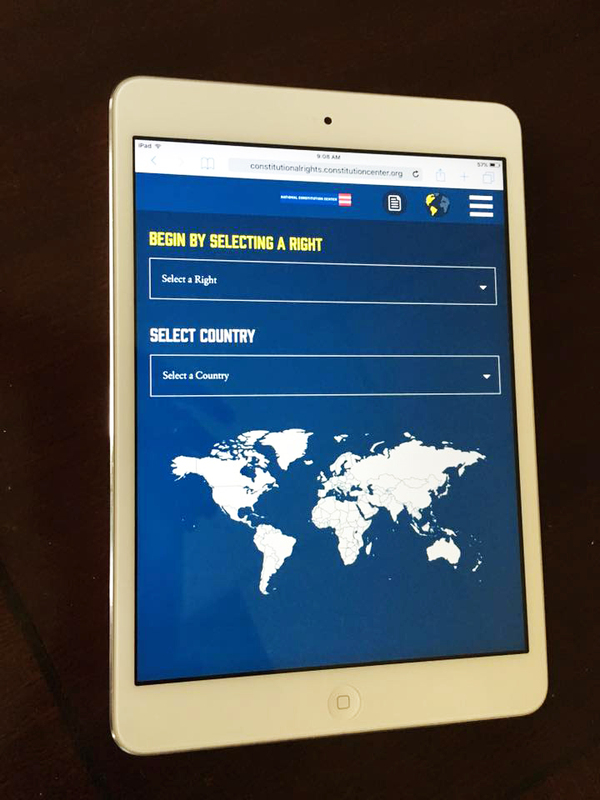 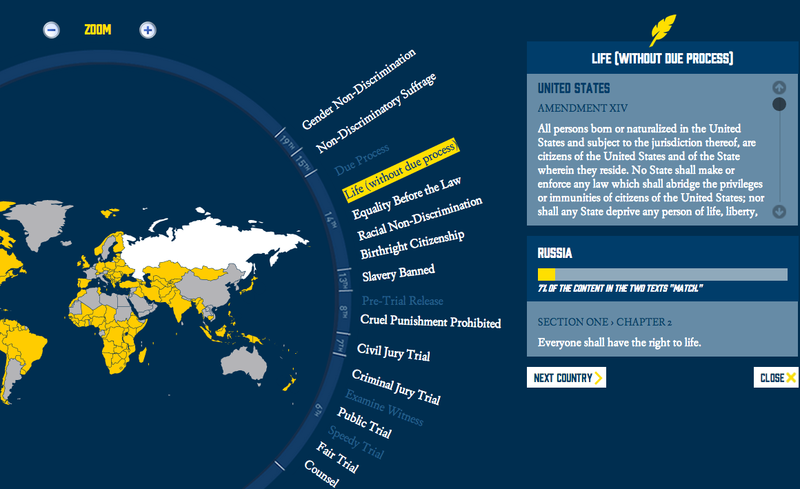 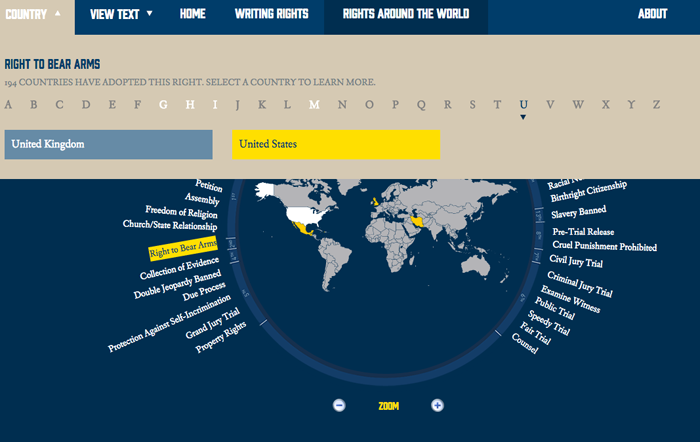 Rights Around the World example. 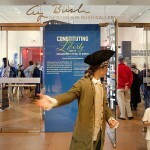 Showing interactive in exhibit at left.  Learn more about web development services.